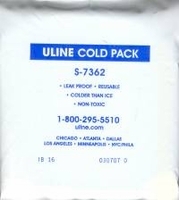 Our cold packs helps the delicate meltables from melting. we recommend one pack per meltable item in warm weather. This will help avoid items from melting, you may need to choose a quicker method of shipping.